Wow, can you believe it's already end of August? Sigh... sometime it feels like time flies by so fast. I am happy about September, though, as I will get to see my little brother, Jerry. He has 2 wedding photography jobs to do in San Fransisco, so he'll be coming to the States and swing by to see me for a few days. I am so excited about that. I live so far away from my family and don't get to see them very often, so needless to say I got super excited whenever I get a chance to see any of my brother, even if it's only for 4 days. Last time I saw him was 2 years ago. Makes me sad when I think of how I don't see him enough, but very grateful for the chance that I do have to see him. I've been thinking about my family a lot lately. With that, a thinking of you card is in order, of course. I am entering this card for 2S4Y sketch 60 challenge. I simply rotate the sketch upside down. Also entering this card for Stamps R Us stitches challenge and Allsorts park inspiration challenge. Thank you so much for stopping by. Hope you enjoy your visit here and thank you for taking the time to leave comments. I really appreciate it all. And, just a reminder, you have till Friday midnight to enter Wee Memories In The Forest challenge! Hugs, Vera. Hi peeps, how are you today? Boy, this weekend flew by way too fast for me. I was busy cleaning my scrapbook room. I think I've been pretty good at purging stuff that I don't need or no longer use. This time, I didn't really have anything to donate or throw out, just re-organizing. We went to Ikea (love this place) and bought several boxes to help me organize my room. Not sure if I really like the card, to be honest. Seems like it's missing something. The picture doesn't show how glittery this card really is. 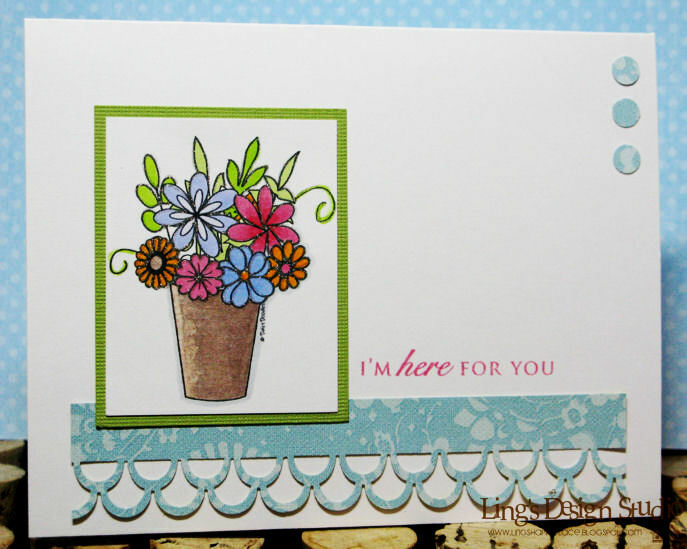 I lined the flowers with glue pen & added DeNami Design super fine glitters called Sparklets. If I can remember, I will try to re-take the picture & hopefully get a better pic of this card. That's it for today and I hope your week starts off well. Hugs, Vera. Yesterday, I didn't post any card and I was talking of how much I miss my family. And I am so touched that several of you, most I have never even met, took the time to send comforting words and virtual hugs to me. 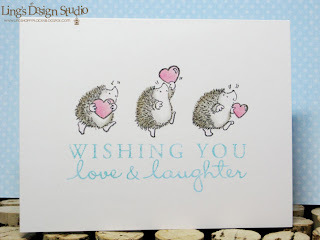 I know that most of you visit my blog for the cards and the fact that you were willing to reach out to me in a time when I am feeling down, helped me to smile & feel better. Thank you so much for the comfort and support. Ladies, you all made me teary eyed with your thoughtfulness. From the bottom of my heart, thank you and I am so grateful to have known you even if it's only though blogging. Today, I still feel a bit sad, but you know me, I always try to look at things on the bright side, too. Like hubby said, at least I can call and with the internet, facebook, etc., I can still share many things with my family. Granted, it's not the same as seeing them in person, being able to hug them, it's still better than nothing. I love my mom so much and she knows that and that's what matter. She knows I'd do my best to try to see her as often as I can. On more cheerful note, how about a card? 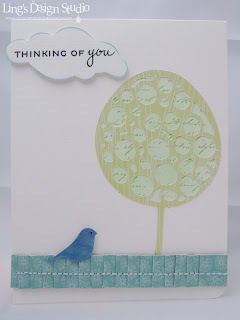 I made this card a few days ago for this week Wee Memories "In The Forest" challenge sponsored by Third Coast Stamp. Since I love fairies and in my mind, they usually live in the forrest, that's what I used for my card. I think the pic came out pretty good. I found a great deal on Ebay (yes, Ebay you should pay me for advertising you all the time) for photo-tent. I mostly take pics of my cards in the evening, so it's hard to get good lighting. But the photo tent seems to help. This was my 1st attempt, so still need lots of practice. I hope you can join us in this fun challenge! Help us spread the words by joining the challenge will you. Each week, there's always fun prizes for the challenge. Okay peeps, I have to go. Today is cleaning the house top to bottom day! Especially my scrapbook room that totally looks like shipwreck. Time to but more container. Have a super duper fun weekend! Last night was one of those emotional night for me. Despite the fact that I've been here in the States for 15 years, being far away from my mom and my brothers always hard for me. We're a close family and growing up, I never thought I'd be the only one that being so far away, especially since I'm the only girl. Boy, was I wrong. Couldn't be any farther, than being in opposite side of the world. I was hoping to be able to go back home for a visit at the end of this year. Now, it's questionable and the realization that I might not able to go home hit me pretty hard. The last time we celebrated Christmas all together was 1997, and the thought that it might have to be postpone again was very hard for me. I know it's probably childish, but I just start crying. I miss my mom and I worry about her often. She's getting old, and I just feel like I don't spend enough time with her. And I know she misses me. Between that and some other stressful stuff, I was just depressed last night. So, no card for me today as I just couldn't find the energy or the creativity to create last night. Sorry peeps. Well, sorry for not so happy post today. I'll be back with happier post. Just need to pull myself together. Have a great Friday! Hugs, Vera. Happy Thursday, peeps! today, I have 2 new challenges for you. 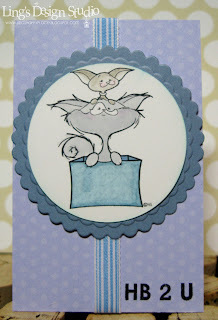 First is a sketch challenge from Paper Play sponsored by Wink Wink Ink. You can check out all the detail & enter the challenge here. I was excited when they said the DT can pick the image to work with. And guess what I chose... Well, all I can say my heart belong to the pugs!! 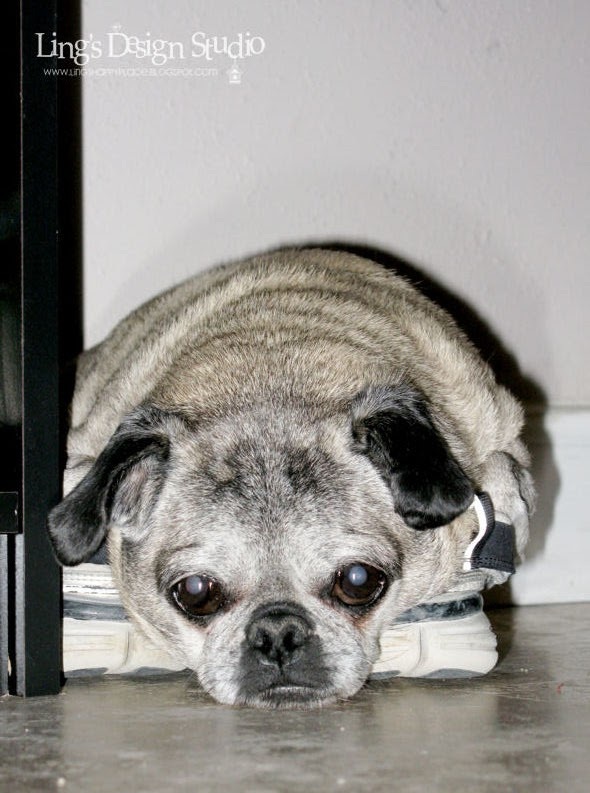 As soon as I saw this "Puggles", I know my choice. Heh... as a proud pug owner, how can I resist this?? I think this is the first cute pug digi stamp I ever found. For extra details, I added flocks on the tail & the paws. It's soft & fuzzy. Just like the real thing. Here's pic of my spoil brat baby, Ollie. LOL, I truly think she knows what's the camera for. I have tons of pictures of Ollie. I love this pic, where she had her paws all tucked in inside hubby's shoes. She's my baby & I love her so much! Next, is my card for Digi Doodle Shop's Best. This week challenge is distressed or vintage. I distressed the edges of the squares and the purple cardstock. And the image... loved it!! As soon as I saw it, I know I want it. They're just so adorable! Here up-close view of the mice. I popped-up 3 of the mice for extra dimension. See the one napping on the bottom corner, sigh... so cute!! I also highlighted the inside of the pumpkin with glitters to make it looks like it shine with candle light. There you go, two fun challenges!! I hope you can join us for the fun and I am looking forward to checking out your creations! Have a great day. Almost Friday.... yay!! Do you want to win some cool papers? Then you want to check Amy's blog. She's doing a huge giveaway. A thousand sheet of papers to be exact. Want to see what a 1000 sheet of papers looks like, see this pic. Now, on to today's card for MyGrafico challenge. 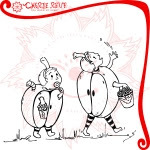 This week the DT get to play with images from Cherie Reve. We actually got 2 images to play with, and I chose to use this "Halloween Apple Brothers". They have tons of digi images at the store & have special offer quite often, check them out when you have a chance. I don't do boys card often, so it's kind of fun to make one. 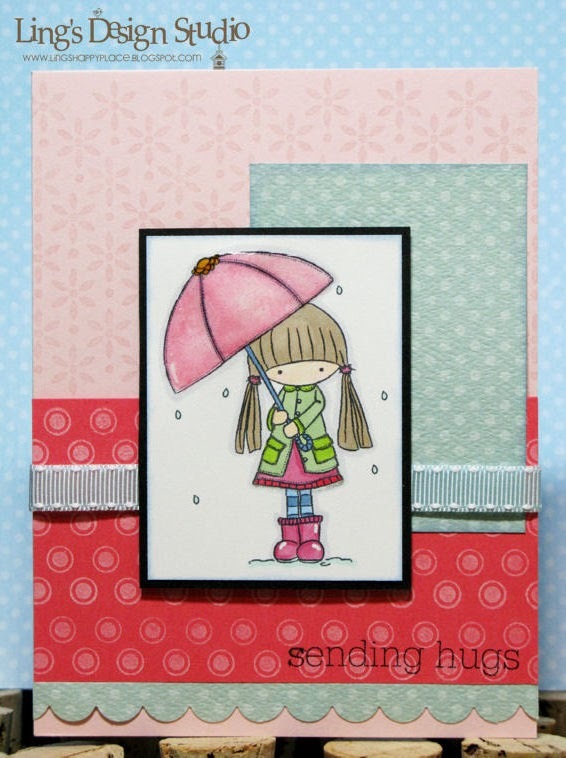 I made this card using The Pink Elephant Sketch. For all the detail and to enter MyGrafico challenge, please check out MyGrafico Challenge blog. I'll be back tomorrow with new challenges for Paper Play & Digi Doodle Shop's Best! Thanks for visiting here. Hugs, Vera. Yesterday, we finally got some really good rain. The heat index for our area been 110F to 115F. So, the heavy rain was a nice change. The not so nice change was that when we got home, all the power was out. Bring back so many memories to our days after hurricane Ike. I did learn something though. When hubby & I were talking about how we might have to sleep without A/C, etc., I started to think, is that our only problem? And no internet. I looked at hubby and said do you know how blessed we are? At least we're not in the middle of flood like in Pakistan, or mud slide in China. We have our house, we're not stranded, who are we to complain? When I came to this realization, suddenly not having power didn't seem so bad. We know we'll get the power back on sooner or later. At other country, they'll be lucky if they get power for 2-3 hours a day and you might not even know when you're going to have power again. If we open our eyes and see how some of the world lives, we're beyond lucky & blessed. I mean, even when you're poor, being poor in the States still better than being poor let's say in Haiti, or other poor regions. I just want to say, if all we worried about was a few hours of no A/C, no internet, life is really pretty good!! I enjoyed my down time of no power by reading a book that I truly enjoy. I get to chill out & relax. Find blessing even in the smallest thing. :) When you can do this, you'll be much happier about life in general. Like I thought, we had our power back on by late evening. Shouldn't even waste time worrying. 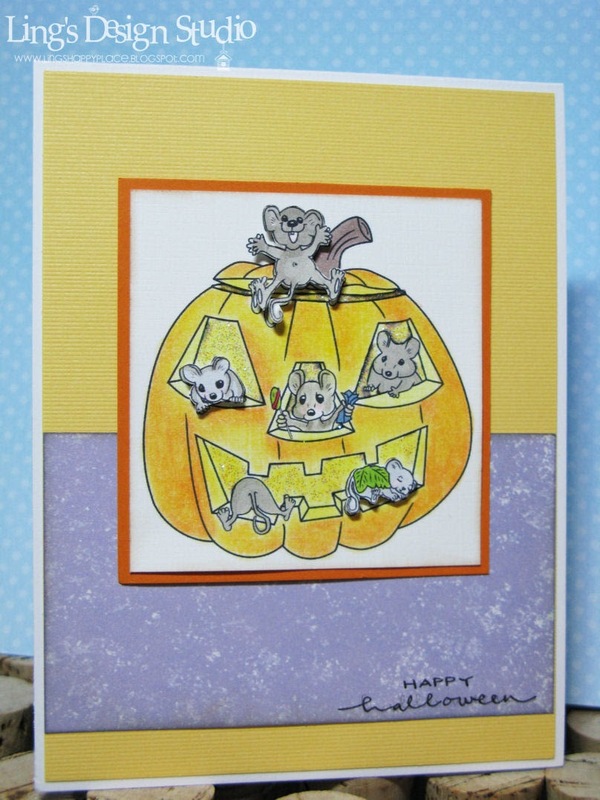 Before we went to bed, I made this quick but cute mini card as well. This card size is 2.75 x 4.25. Hope your day is filled with many blessings and I am sure if you just think about it, you have plenty of blessings to be thankful for everyday! Have a super duper blessed happy day, peeps!! Hugs, Vera. Edited: When I made my ribbon fish, I literally do it based on my own trial and error. I do not follow anyone's tutorial and I stated it clearly on my post that I made the ribbon fish design myself based on trial and error. However, Karyn, who's a ribbon sculpture artist contacted me and let me know that she had written a ribbon fish tutorial years back and since selling ribbon sculpture tutorial is her way to earn a living, I decided to pull out my free fish tutorial to support her. If you want, you can purchase the ribbon fish tutorial from her site HERE. Hi peeps! Finally, I finished my ribbon fish tutorial. Heh... sorry it took so long. Good thing, some of you are persistent & keep me to hold my promise. My first fish card is the one that I used for my blog header (see card on the right side of the header). It might take you a couple trial & error to get the fish looks right. The first time I did this fish for Gallery Idol, I didn't have any direction on how to do it. I basically figured it out myself just by looking at the end result. Took me at least an hour for my first try. This time, it only took 10 minutes. With a fish like this, you don't need much of anything else to make your card shine. I made a super simple, CAS looking card. I do adore my fish. Thank you so much for stopping by here. Hugs, Vera. Happy weekend, peeps!! How are you today? Hope your day starts great. I have fun new Wee Memories challenge for you. 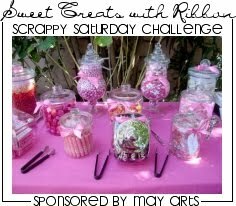 This week we are sponsored by May Arts and the challenge theme is "SWEET TREATS". May Arts has many yummy ribbons. Yes, I associate pretty, fun colors with yumminess. :) And, lucky for me, I received my winning ribbon from their blog contest in the mail on Wednesay, so I get to use their ribbon for my card here. Love their ribbon, it has just the right thickness & easy to work with. 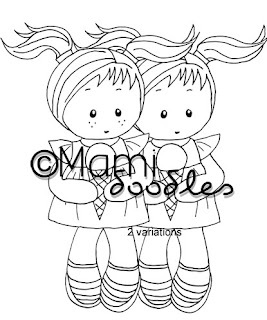 I used a digi stamp from 2 Cute Rubber Stamps. Isn't this polar bear & the penguin the cutest? Sigh... I love cute stuff. Colored them with Copic markers and added tons of glitters for the ice. I added dimensional glazed on the ice cream. Loved how shiny they look. 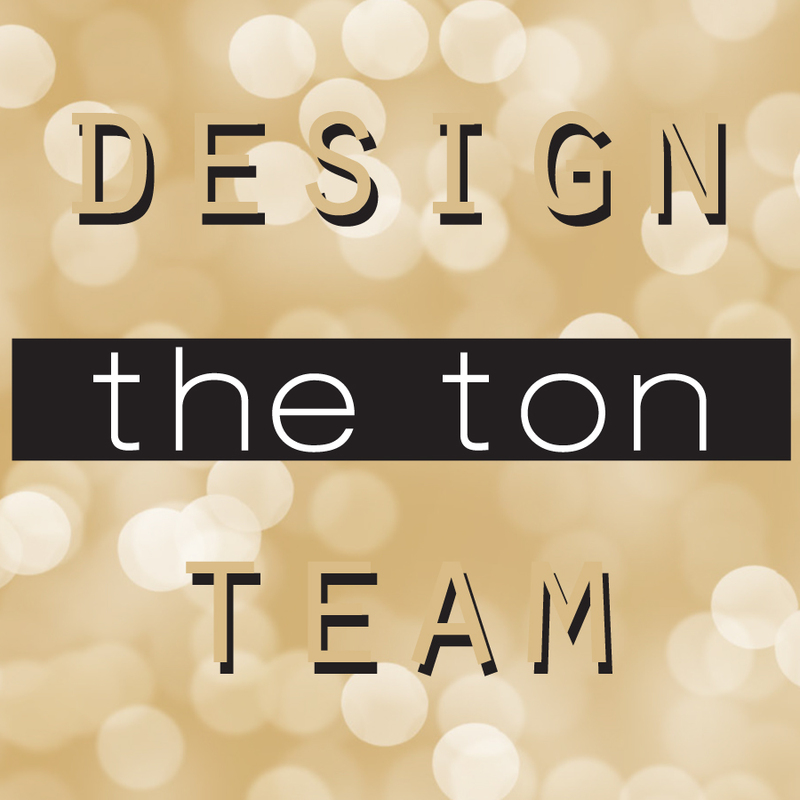 Make sure you go to Wee Memories blog to check out all the amazing DT creations and see all the details for the challenge! I am looking forward to see what you're going to create. Love seeing all the talents out there. Okay, I feel like I've been losing my mojo quite a bit lately, but today, I feel the tickles to create, so hopefully I can come up with some great ideas. Going to try to submit again for the magazine. Cross my fingers. First, I am off to have some dim sum with my cousin, Julia. Can't create with empty tummy. :) Wishing you all a super duper great weekend filled with many yummy goodness!! Hugs, Vera. Today, my lovely in-laws, Marty & Jane, whom I am so lucky to call Mom & Dad, is celebrating their 50th anniversary! What an achievement! So wish they're here with us, so we can celebrate with them. Before I met my husband, I promised myself that before I get serious with anyone, I want to make sure I like the parents. I learned, having in-laws with whom you get along with is very important. Let just say, I got to meet my in-laws on my second date with hubby! Boy, talking about pressure. LOL. Yep, basically on 2nd date I met my then future parents-in-laws & sister-in-law, Kristen who is not only drop dead gorgeous, but very nice as well. Needless to say, I quickly fall in love with hubby's parents. They're the nicest in-laws to have (an no, Mom, Dad, I am not only saying this because I know you're going to read the blog. I really mean it!!). And how can I not adore them, they raised such a thoughtful, loving, & kind son that I am blessed to be married to. I love it that I can chat with them about anything, just like when I chat with my own parents. They're intelligent & fun to talk to. Remember my trip to CHA? Yep, did it with my MIL. So, today's post is dedicated to them. Thank you Mom, Dad for leading us by example and showing us what marriage all about. 50 years of amazing togetherness, through the ups and downs of life. I hope we can follow your example and we wish you many more years of happiness & love. Love you both to pieces and thank you for welcoming me into the family with so much love & support. Here's the card I made for them. HAPPY 50th ANNIVERSARY!!! Maybe you don't consider this as romantic anniversary card, but there's reason why I choose to make this card. In Indonesia, the plants that rice came from is called padi & there's a saying about great people who are like padi. Hmm... not sure how I can translate it directly. Let me try to explain the saying. Padi when they mature & ripe, they bend and become closer to the earth. Instead of being boastful & growing tall reaching to the sky (considering they're the main food for lots of people), they remain grounded & actually the bigger, the better they become the closer they bend to the ground. My in-laws, have been through a lot together & are very successful in many aspect, yet they're a very down to earth people. Just like padi enriching lots of people (either as goods that provide income for the family, or as food that enriching the body), Marty & Jane enriching the lives of the people who knows them. They're kind, thoughtful, fun, (can be crabby & grumpy sometime... hehe.. let's stay realistic here, Dad! :), loving and just simply great parents. 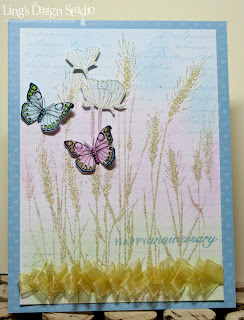 That's why I choose to create this card using this wheatgrass images that reminds me of the rice padi field. 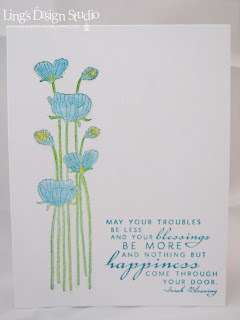 Hope you love the card and peeps thank you all for stopping by and for those who actually read my post, I hope I don't bore you gals with my long post! Really appreciate you stopping by here! Hugs, Vera. Hi peeps! 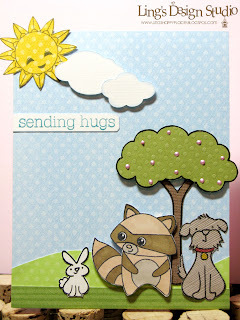 Thank you so much for making Lawn Fawn Hearts Card For Kids Blog Hop a success! I had lots of fun hopping around and really appreciate all the supports & all the sweet comments. Today I feel like rambling. Hope you don't mind. I was in reflective mood after remembering that my former country, Indonesia just celebrated their 65th Independence Day a couple days ago. I've been in the States for 15 years and I have become a US citizen, but I don't forget my root. I am 3rd generation Chinese, who was born & raised in Indonesia. In reflection, I am grateful for my upbringing in Indonesia. It definitely shaped who I am today & make me so appreciate of my life in the States now. My parents themselves were raised in Indonesia & Dutch cultures. My mom lived in Holland for several year & to this day cannot speak proper Indonesian. LOL. But, she speaks Dutch & English to perfection. So, I grew up with mix cultures to start with. Growing up, I used to hear 3 languages at home, Dutch (my parents used this when they didn't want us to know what they're saying, although I do understand the word crazy and that meant they're talking about us, the kids), English, & Indonesian. With other family members, I also hear Chinese (unfortunately, as much as I love learning languages, I only know how to count 1-100 in Chinese). OK, enough chit chat. On to today's cards. 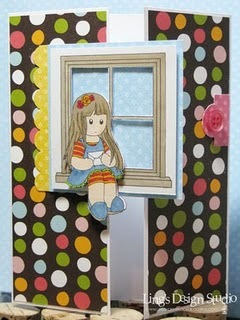 First up is my card for Paper Play Challenge. This week challenge is PINK, PINK, PINK! I used Tiddly Ink princess again as I just love her. Covered her skirts with lots of glitters. Come on, princess have to have some glitters, right? 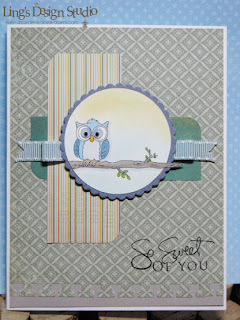 Next, is my favorite owl for Digi Doodle Shop's Best challenge 21 "ANYTHING GOES". I decided my owl gonna be funky, bright & colorful. Again, I'm using the Nestie Label 10 to frame the owl. Sentiment is from Papertrey Ink. Sorry for the way the picture look, somehow when I photograph anything yellow, it comes out a bit funky. Note to self, look for photography tent this weekend! Lawn Fawn Hearts Cards for Kids Blog Hop! 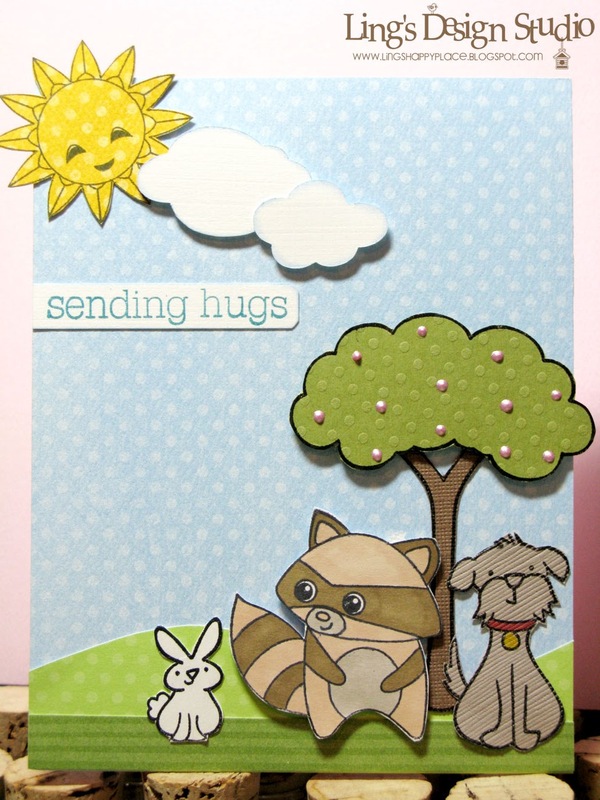 Hello and welcome to the Lawn Fawn Hearts Cards for Kids Blog Hop! We have all come together today to make cards for a wonderful cause, Cards for Kids! We hope you will join us in supporting this great cause and have fun along the way, too! 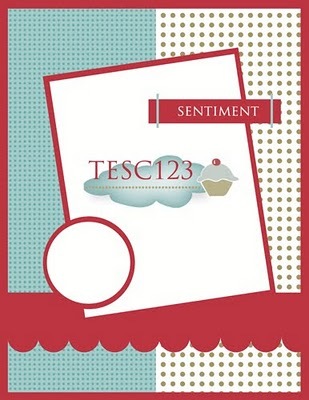 So please hop along with us, and make sure to leave comments as there will be prizes for commenters and participants! So let's get going! Also, if you are lost in the hop, you can always start at the beginning at the Lawn Fawn blog. Thank you so much for hopping along with us today! I have 3 cards to share with you. I love supporting this wonderful cause. Most of my cards that I made throughout the year that's totally cutesy, I usually save it for this. When I have a bunch collected then I mailed it out to Jennifer McGuire who started it. You can find all the details about the cause & the kids here. Okay, last card. 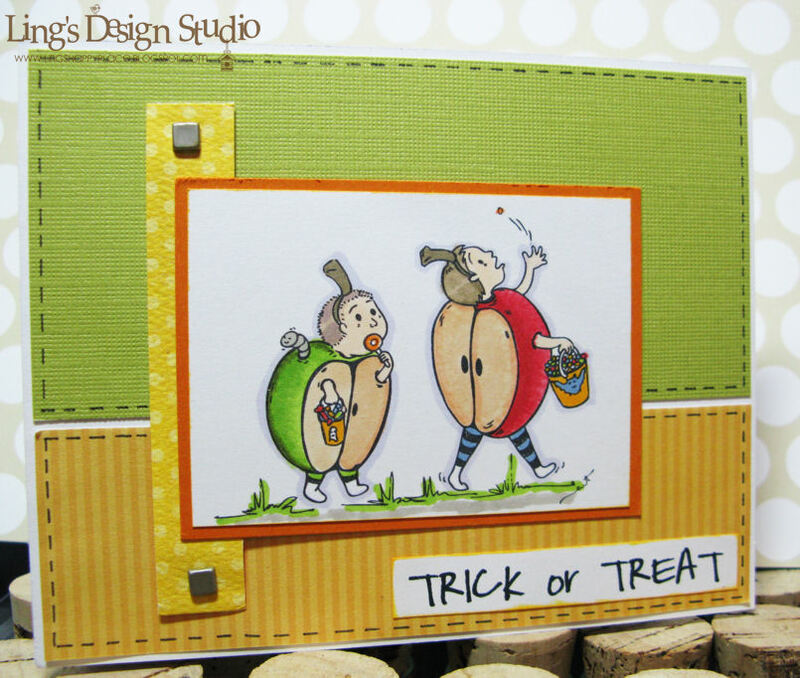 For this one I used Meljen's stamp and CPS sketch 180 & Card Pattern Sketch 77. 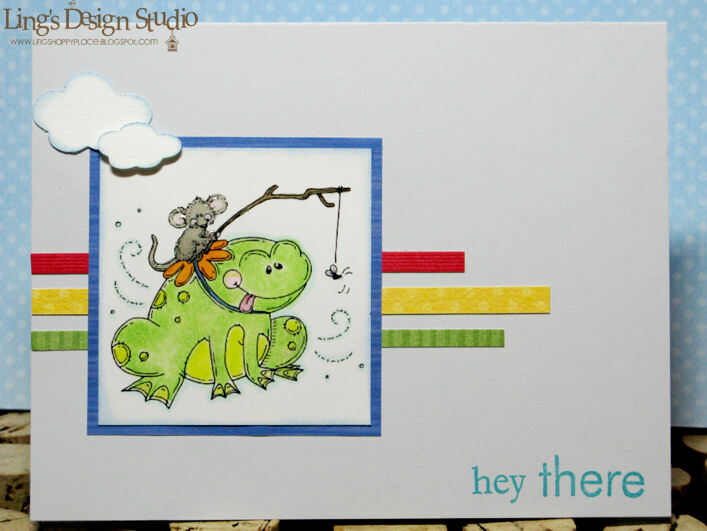 Don't you think this cute mouse & frog would brighten any little boy's day? I hope you love the cards and I sure hope the kids will love it. I will be mailing my stash out this weekend. Your next stop is LISA. Thank you so much for stopping by and thank you for taking the time to leave some love. I appreciate your support & truly hope you will join us in supporting Cards for Kids. Hugs, Vera. Hi peeps. It's time for MyGrafico Challenge 62. This week challenge is super easy. Anything goes. The only requirement for MyGrafico challenge is to use at least one of their stamp and they have lots of freebies that you can get here. 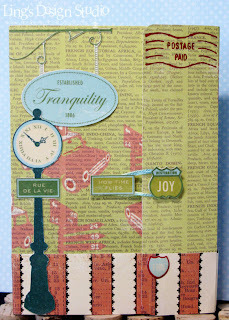 For all the challenge & prize detail please check out MyGrafico Challenge Blog. 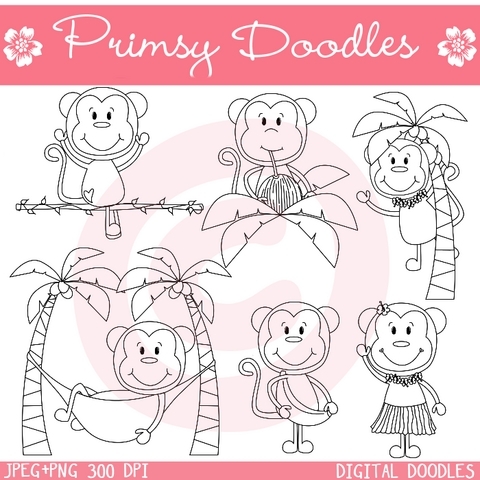 The DT get to play with the monkey stamp set from Primsy Doodles. And they are fun, fun, fun to play with. Mine is chillin' by the beach. I so wish I was by the beach, too. I hope you will join us for the challenge. 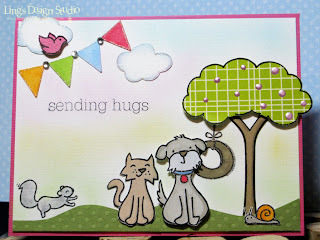 To see my post for Lawn Fawn Hearts Card For Kids please click on my blog title to refresh the page and it should be the top post. Looking forward to your creations! Every month okay, maybe weekly, I would wonder what stamps or what papers should I get. I mean I think about it a lot. Is that normal? Please tell me it's not just me. 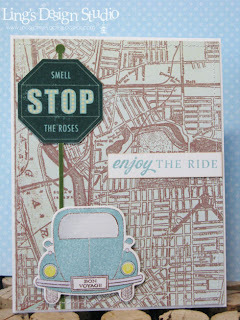 Looking back at the last few months, I am pretty amazed at how obsessed in love I am with stamping. I cut down on my other shopping habit, just so I can buy more stamps, papers, & dies. From Christmas to birthday presents, I'd rather get stamps that any other stuff. Every time I think I have enough, the stamping company just have to come out with cute new stamps or new digi stamp. This past weekend alone I purchased Tiddly Inks, Pure Innocence. Been eyeing their stuffs for a while. Then got the email from MyGrafico that they're having a 40% off sales, so there I went & got a few Cocoa Studio sets, plus Clip Art and Scrap digi stamps. And yesterday I ended up buying another Spellbinder Nestabilities Labels using Hobby Lobby 40% off coupon. That's not that bad, right? Sigh.... so much temptation. How do you fight it? Just surrender to the call, I'm guessing?? 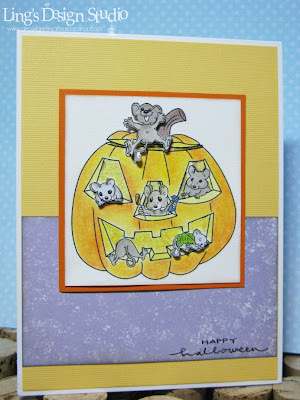 Anyhoo, here's a card I made using Amber from Clip Art and Scrap. This card is inspired by CASE Study Challenge # 1. Instead of a circle as the center, I decided to go with a rectangle shape. Added glossy accents on the umbrella to make it looks like it's wet from the rain. 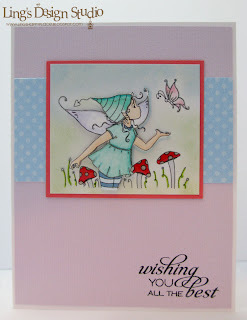 Tomorrow is the Lawn Fawn Hearts Card For Kids blog hop. I hope you can join us on the blog hop and find out how you can also support this wonderful cause. Thank you so much for stopping by here and thank you for all your wonderful & thoughtful comments. I really appreciate you all. Hugs, Vera. Hi peeps! Last week was a bit rough for me. Had to deal with some dramarama courtersy of some people. But, among all of what happened, two moments happened that I won't forget. First one happened on Thursday. I was so upset about something that someone said and sent an email to my girl, Leslie. Just 2 short sentences to vent off. Next thing I knew, she called & sang this silly but super cute diddle of how much she loves me. She made me laugh and cried at the same time. I laughed because she cracks me up, I cried cause I feel so blessed that I have such a thoughtful friend who when she thought it was bad, immediately call me just to make sure I am okay and just to show she cares. The second one happened on Friday. Out of the blue, my other girlfriend, Deb called. I consider her like my sister. We're both not the type that chat a lot on the phone, but when we do catch up it's always like no gap, if you know what I mean. Anyway, she called because that morning as she was thinking about all the important people in her life, she realized that I am the only person that truly, truly her very best friend, who would always be there for her, regardles of where life take us and that she is so thankful to have me. Peeps, I love my girlfriend and I know how they feel about me. But, it's always nice to actually hear it. I am glad to know that I've been a good friend. I don't have a big circle of friend, but the ones that I do have and really close to me, I love them and they're amazing. The kind of friend that you know you can call at 2 o'clock in the morning and you know they'll be there for you (mm... we do set regulation to what kind of call we would entertain at that hours, emergency, life changing kind). So, today's post dedicated to my girlfriends who I love so much and are the best of friends to have. I am grateful and thankful to have them in my life. Sorry for the long chatter, just have to share that. Please let me know if I chat too much. :) On to card, shall we? For today's card I used CPS Sketch 180, which kind of similar to Card patterns 77. 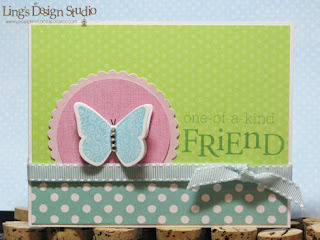 And the colors inspired by Simon Say Stamp Summer Time Blue challenge. This is my first Tiddy Inks digi stamp. I saw her at Donna Mikasa's blog and fell in love with the image immediately. She looks so spunky & I like that. Back at the CHA, one of my best purchase was the Sakura Glitter pens. I tried it at a make & take at one of the booth and have to have it. Here's an up-close of the card, so you can see what I am talking about. You see the outline of her skirt, how it has some shine/glitter to it. That's courtesy of Sakura Glitter pen. That pen rolls so smooth and add subtle glitter. Hard to show on pic, but in real life, it add amazing details to your image. Must have if you love glitters! Ahh... Saturday. Me likey. I think we're about done with our bathroom renovation project. Looking forward to have our shower back. We started this project at the end of May and finally about to finish. Yay!! Have the shower door installed today and then do the painting and we'll be done!! Hubby and been working on making our home pretty for about 3 years. We did most of the work ourselves. But, I guess typical home builder, when it come to your own homes, the pace is definitely much slower than if it someone else house. Now, we're almost done and it feels great. We enjoy our house so much more and knowing we did it, make me feel proud, too. Anyway, enough chit chat. Today I have new Wee Memories challenge for you. It's all about "BUTTON, BRAD, OR BLING". Create a project using either one of the item or all 3 if you want. 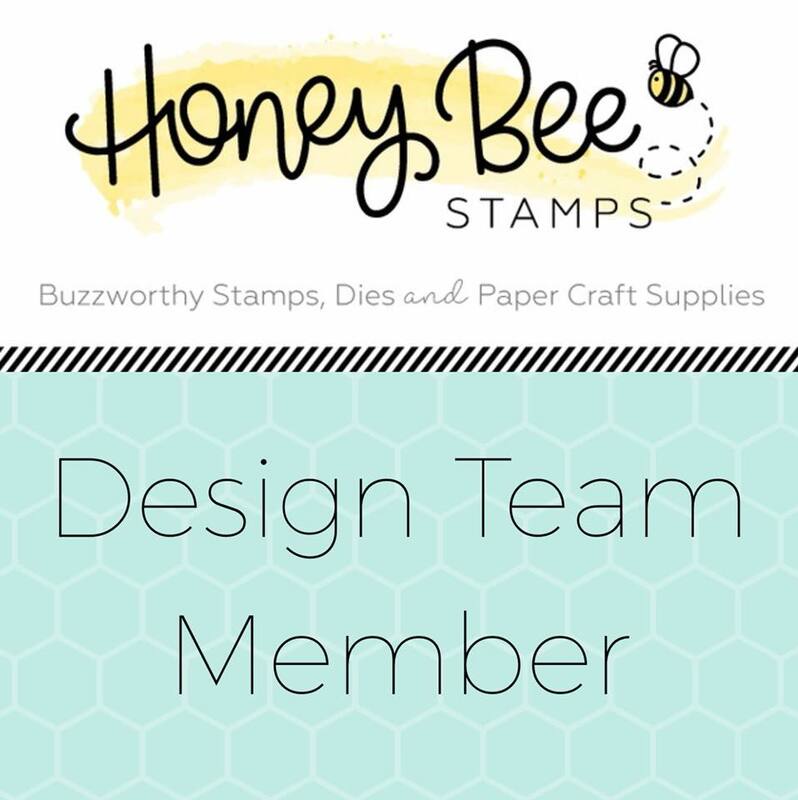 We're sponsored by Oh My Crafts! and the prize is 10 Cuttlebug Folders. To enter the challenge & for the prize detail check out Wee Memories blog. You'll find many inspirations as well from the talented girls in our DT. Hi all! Happy Friday! 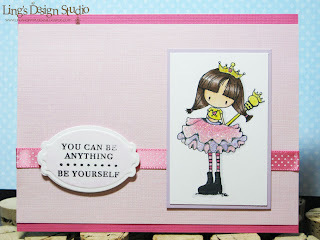 At Mami Doodles we're welcoming 3 new members to our DT and to celebrate we're doing a blog hop! If you come Lily's blog, then you're on the right track. Otherwise, below I put the link for all the DT for you to hop to! 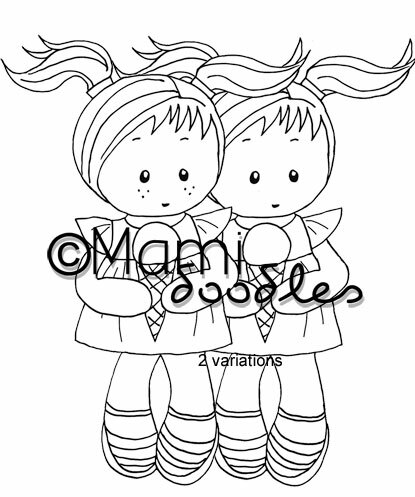 Mami Doodles is created by the talented Elisa. Her designs are cute and whimsical. You can check out & purchase her lovely designs here. Besides the blog hop, we also have new challenge you can join. The challenge is "DIFFERENT SHAPE". Create a card in any shape besides the typical rectangle or square. The winner of the challenge will WIN 3 DIGI STAMPS (the 3 newest images) plus one of your choice. I made 3 cards for the hop & the challenge. First one using Rosie (she's a freebie, you can get her here). Isn't she just adorable? 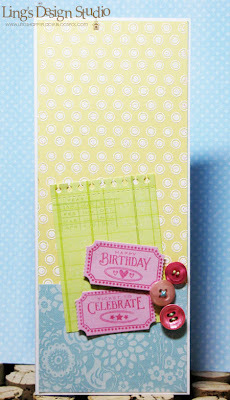 Entering this card for Penny's Paper Crafty Challenge 35 as well. Now, we can't do blog hop without doing any blog candy, right? 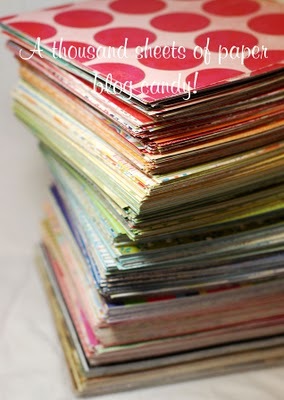 For your chance to win BLOG CANDY, visit and comment on each of design team members' blogs by Tuesday, August 17, 2010. Leave a comment here on my blog and you could win cute Li'l Sinead (you'll receive 2 images, one Sinead with freckles & one without freckles). 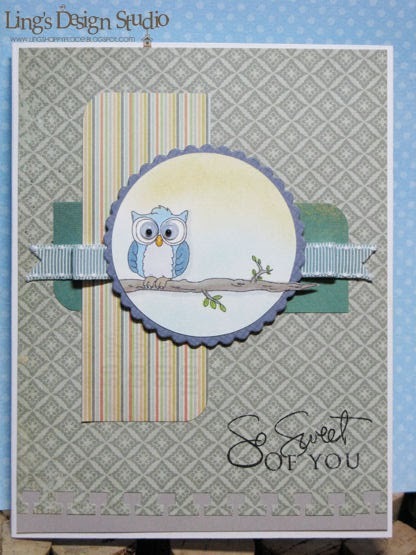 Here's my card using Li'l Sinead that I combined with the cute owl as well. I'm also making this card for Cute Card Thursday Challenge 125: Tree-mendous. And one last card. It's rectangle, but still consider it different, cause the way it open. Wanna know a secret? LOL, at first I thought the challenge was different fold. Since I already made it, why not share it, right? 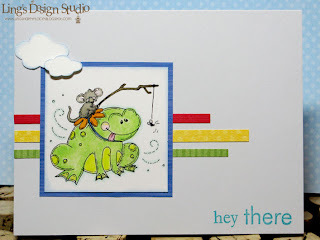 Now, how about hopping around, join our "different shape" challenge, & increase your chance on winning some digi stamps? Remember, you have until next Tuesday 12 noon to enter the giveaway and winners will be posted on Wednesday. Here's a list of all the DT members. I made the card using 2S4Y sketch & CPS 179 (they're almost the same). 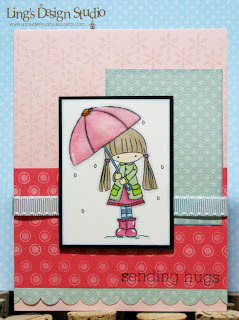 The idea of the punched cloud is inspired by Belinda Chang's card here (thanks for the inspiration, Belinda). 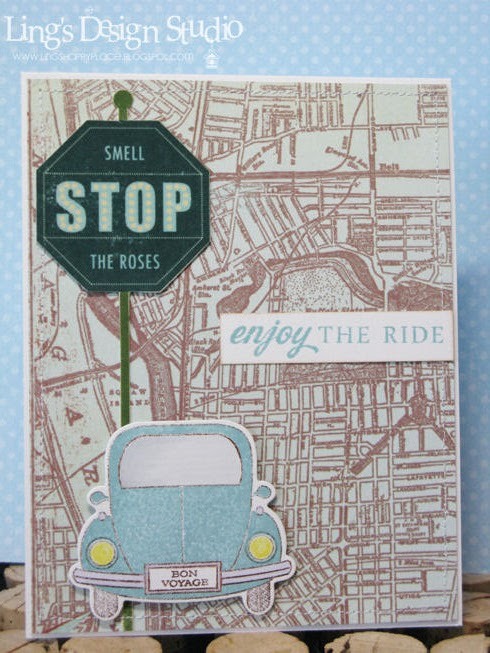 Created the car using Papertrey Ink stamp & matching car die. The idea of the bunnies driving the car is from the Kia car advertisement (I think it's Kia, if I am wrong, sorry) where the hamsters looking so cool and tapping their fingers to the music while riding around town. Love fun commercial. Unfortunately, I am missing the bunny from my Lawn Fawn set. So, I had to draw the bunnies myself to match the Fawn Lawn critters. 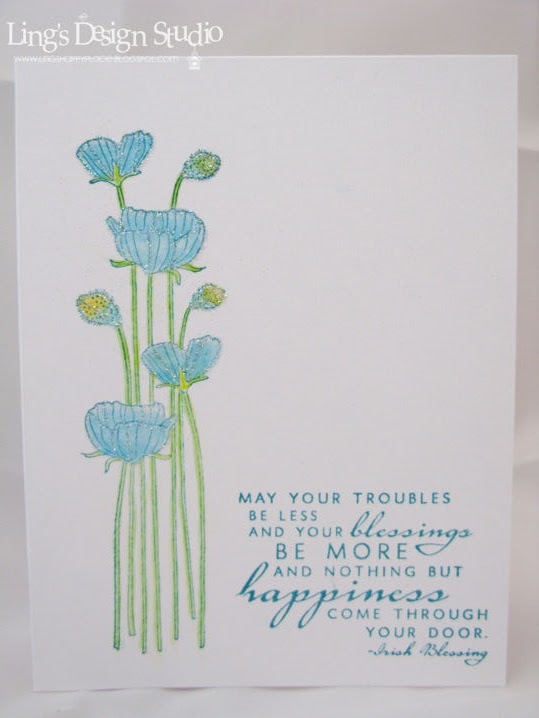 I love the cheerfulness this card conveys. Next, is my card for Digi Doodle Shop's Best Challenge. 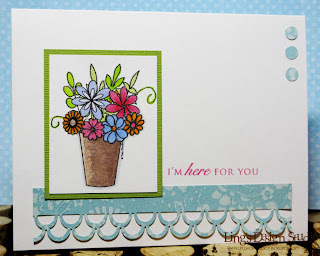 This week we're sponsored by Daisy Doodles and the challenge theme is flowers. Please stop by here for the challenge & prize detail. 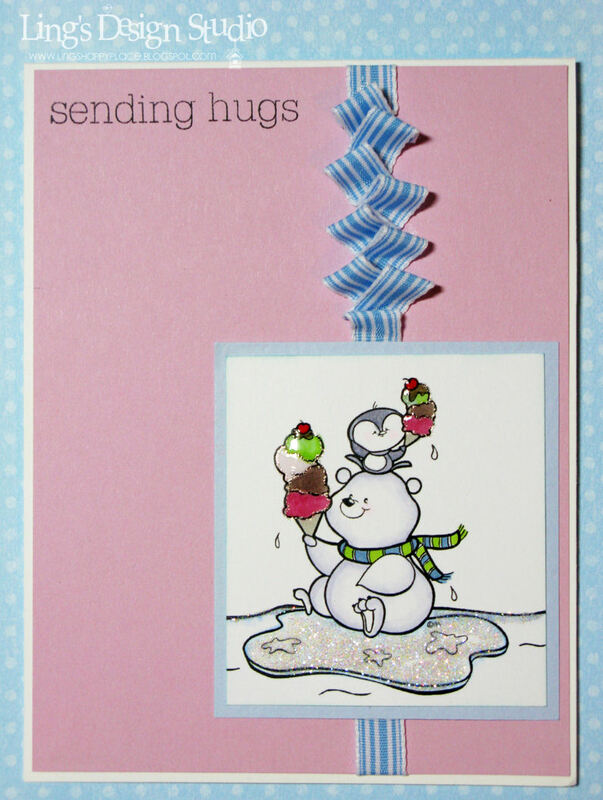 Here's my card following Card Pattern 76 sketch. Hope you can join both challenges! Don't forget to check out all the DT blogs for more inspirations. I am looking forward to seeing your creations. Have a great Thursday! Hi peeps. 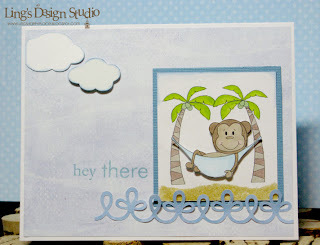 Today I am the guest designer at Making Memories blog. So excited and grateful to have this opportunity to create some projects for them. For my projects I get to play with Making Memories Panorama set. Love it!! I created 4 projects total, although easily I could make more. I have another layout already in progress. Can't stop playing with this set! For details on all the project please check Making Memories Blog. Would so appreciate it if you would leave some love on their blog as well as over here. I really appreciate everyone's support. Next, I have the travel journal. I love how my travel journal turned out. The patterned paper itself is gorgeous. 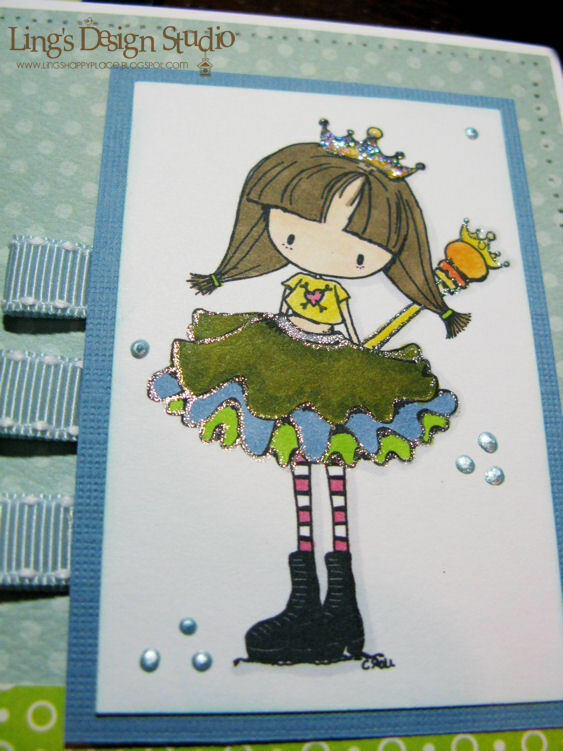 All the embellishments were created from the cut out from one of the patterned paper. I attached the two small embellishements that has the word "How Time Flies" and "Joy" using pop dots and added thread to close the journal. The pop-dot provide a space for the thread to go around. Now, the cards. I simply love how this first card look. The patterned paper was so gorgeous and has beautiful shine to it. Here's the second card. 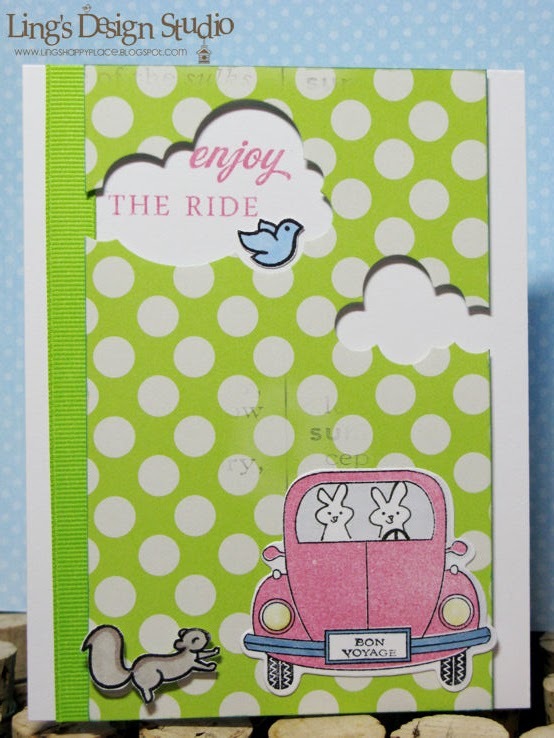 The car is made using Papertrey Ink stamp & matching die. I really used that one patterned paper that has all these embossed signs. Except for the above card, I use something from this patterned paper to decorate all the projects. Hope you like the projects. I was so giddy when Making Memories asked me if I'd be interested to be their guest designer and I hope I didn't disappoint them. If you find me through their blog please let me know. I love reading your comments and appreciate them very much. 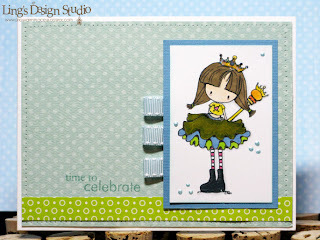 Also, Friday, Mami Doodles will be hosting our first blog hop & there will be digi stamp giveaway. I'll have all the details on Friday! Have a super duper great hump day peeps. Hugs, Vera. 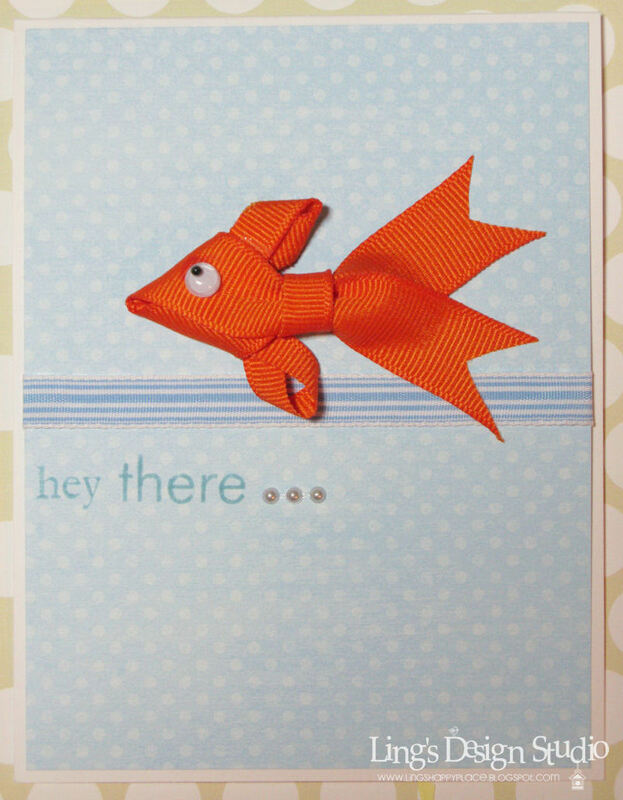 I am thrilled to find out that my ribbon fish card (see my blog header) caught the eye of the May Arts peeps. They chose my card as the winning card for "Ribbon on Card Contest". I almost missed the announcement here. Thank goodness, I checked my planner. LOL, yes, I am one of those people that have planner, but sometime forgot to check it. As far as I can remember I always have either a journal or a planner, and I always have the good intention of being organized by writing things down. I am good at that. I am just not that good at actually checking the planner on time. :) What can I say, everybody have their ditzy moment, right?! If you have followed me for awhile, then you know I am partial to hedgehog. Why?? See the cute critter on the pic below. Peeps, for you who haven't meet my smallest baby, here's Coco the hedgehog. I got her for Christmas 2008. She tends to be grumpy when you just woke her up. But, once she know it's me or hubby, she'll relax and all her quills will be down. Isn't she adorable? I am not sure how old she is. Found her through the rescue place. 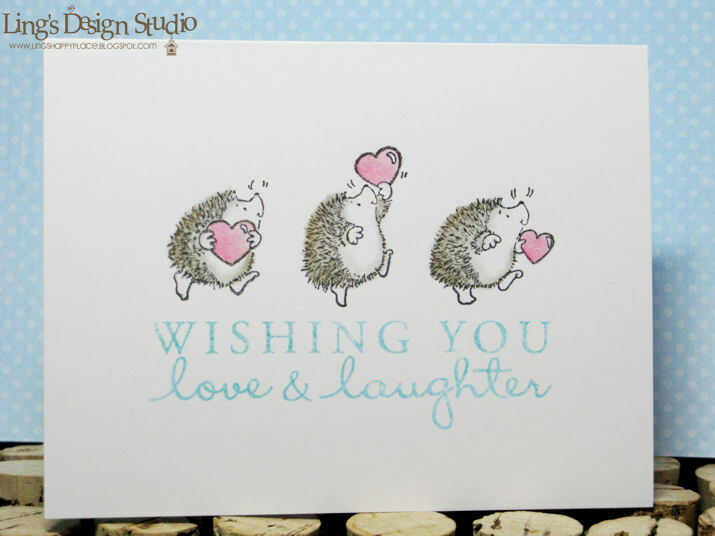 Anyway, this cute face is the reason I love hedgehog, the real thing and the stamps. 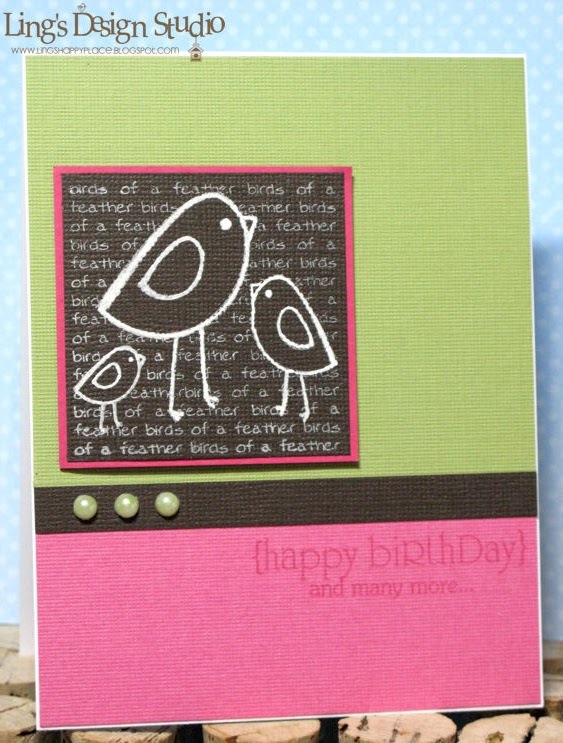 Now the second card is inspired by Embellish Magazine Color Challenge & bird. This pic came out kind of washed. I'll have to take new pic and change the pic later this evening. And tomorrow, I'll be the guest designer at Making Memories blog. I have several stuff to share with you. Please come by tomorrow and if you stop by here today, please take the time to leave a comment. I read all the comments and really appreciate every single one of them. Have a great blessed day! Hi all, how's your weekend? I hope you had a pleasant & enjoyable weekend. It was quite a busy weekend for me. Saturday, I finished my project for Making Memories. 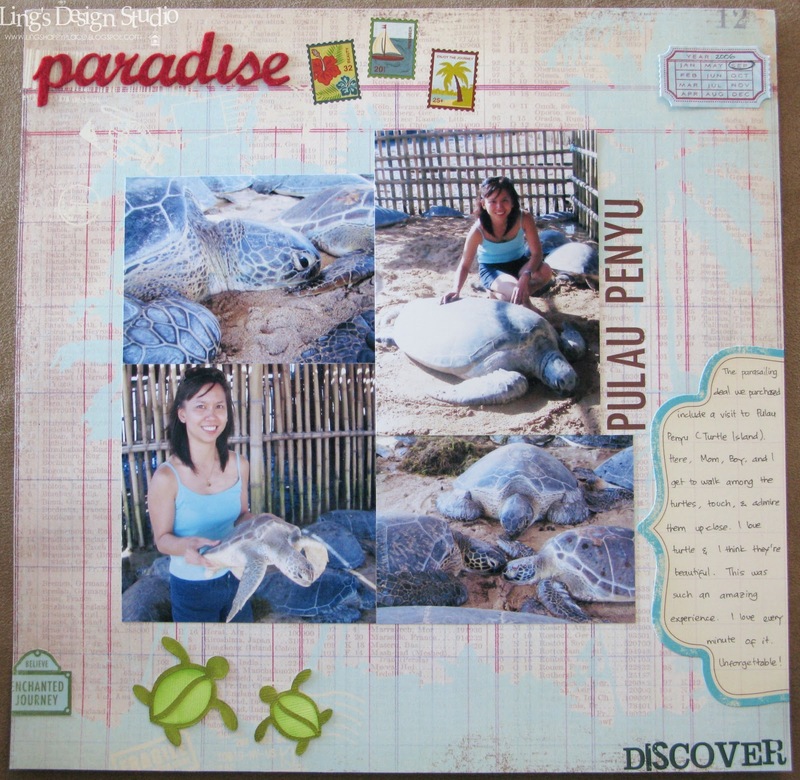 They'll be sharing my projects on their blog this Wednesday. So excited for the opportunity to create for them. Have a great Monday! May your week start wonderfully! Hugs, Vera. Aah... Saturday. Don't you just love weekend? I plan to be quite productive today. Some of my plans include going to the library, finish my project for Making Memories, taking pic for a tutorial, cleaning the house, and organize my scrabook room. Although in all honesty, I doubt the last one will happen. LOL. Seem like I always have the good intention to organize it, but as soon as I start pulling stuff out it's all a mess again. I have new card for you for Wee Memories Challenge. This time our challenge theme is "BUTTERFLIES". For my card I used Papertrey Ink butterfly set. The layout for this card is inspired by Maylee (Cas-tastic DT) card. 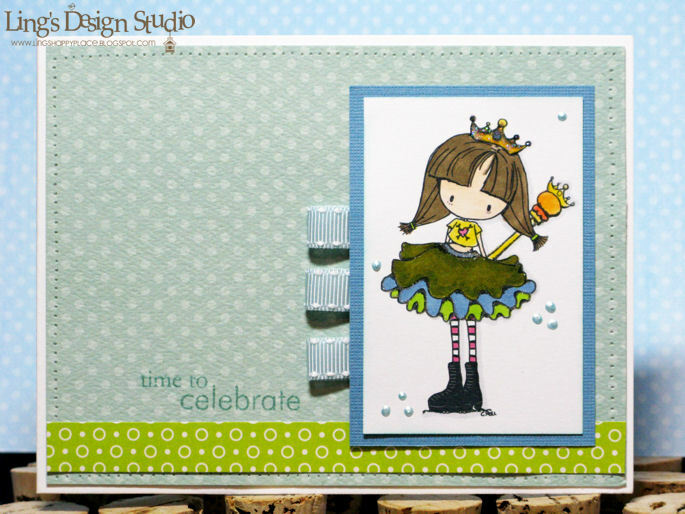 Their challenge is to case their design team and I just love the way Maylee's card look. I sure love dots. I think I love them more now than I ever did. I used to buy only stripes patterned paper. 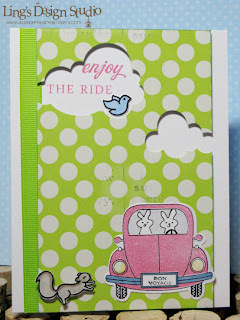 It started from Bo Bunny Dots paper, then with Papertrey Ink Dots Background set, and now I just love patterned paper that has dots. They're just so pretty and fun. 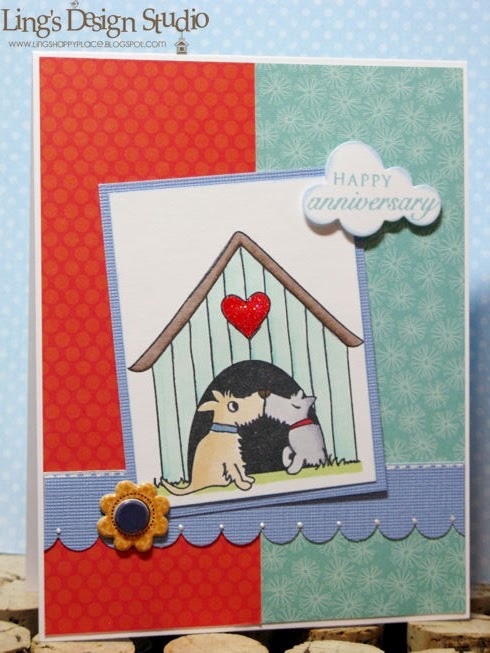 If you have some crafty time plan please, join us at Wee Memories Challenge! Check the blog to see all the DT works. These gals will inspire you with their adorable cards. I am so lucky to be working along these talented ladies. Hope your weekend is filled with all the good stuff! Pheww, I had quite a day yesterday. On our way to work (hubby and I carpool, since we work for the same company), in the middle of the HOV lane, suddenly my car battery light went on. I was like, what's going on? First thought, the light was just acting up. Next thing we know, the temperature light went on, followed by another light, etc., with all the warning sound beeping. I looked at the temp needle it was all the way to H. Not close to, but all the way up there! I freaked out, and asked hubby if he thinks our car going to blow up. Who knows, all the warning lights were on. He said exit the carpool line as soon as we can. Anyway, we found a parking spot, turned off the car, called AAA. Love them, by the way. While waiting, we checked the car, try to re-start it after a while, now it's totally dead. Mind you, it's Texas, so even 8.30am, it was smoking hot, peeps! Was not fun! I do thank my guardian angel for watching over us, cause if we had not stop when we did, we would have fried our transmission completely. Needless to say, called the boss and asked for day off so we can take care of the car and do some car shopping. We've been thinking of getting a new car, but was hoping that we can still get another year on my "Bu" (that's what a friend of ours called my Chevy Malibu Max). No such luck. By the end of the day, I am the proud owner of a new Hyundai Tucson. What really sold us on the car is really their 10 years or 100,000 miles warranty. I am not too happy about having a car payment, but we need dependable car. Now, from Bu to Blue. That's what I decided to call my new ride "Blue". I chose a bluish silver colors instead of plain silver and I thought it looks nice. 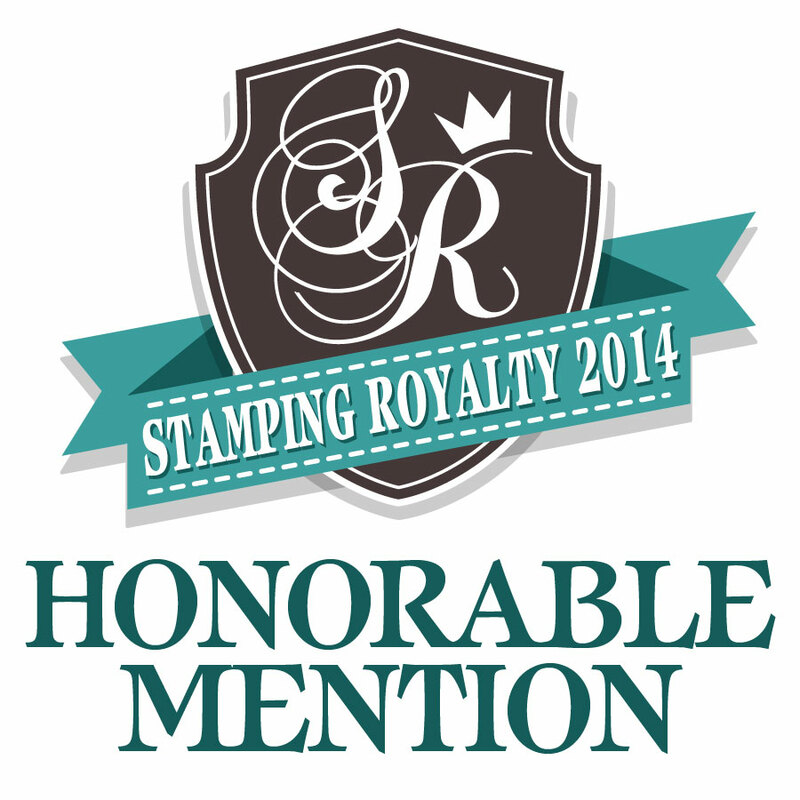 Hopefully this wouldn't interfere with my stamping budget. LOL, I got my priority here, people! It was a stressful day. Let's move on to cards, shall we? When I met Paulina from DeNami Design at CHA, I told her now that I know about DeNami and their cute stamp, I will start entering their challenge. Their latest challenge is all about glitters. She does love glitters. I think most of her card sample at CHA has glitters and they were awesome. So, here's my card for DeNami Product Challenge 3 in combination with Moxie Fab Signs of Peace Challenge. I used my Silhouette to cut the peace signs & colord them with Copic. I thought this card turned out pretty cute! Totally adore that turtle. I really, really love anything turtle related. Except for when my car was moving like a turtle! 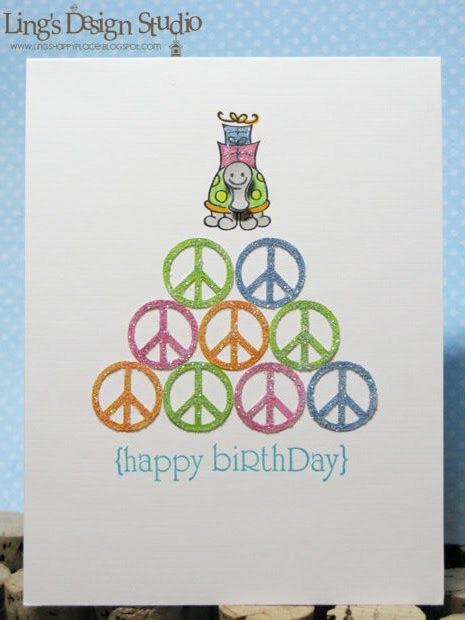 :) Oh yeah, the idea for this card was that those stacked peace signs supposed to be birthday cake with the turtle as the cake topper. That was the idea for this groovy birthday cake card. Then, on Facebook, Samantha Walker who designed for Silhouette has a challenge to create a project using her design. I love her cute design, so of course I have to join & play along. 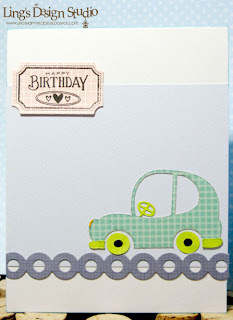 :) Here's my card using her cute car design and CPS sketch 178. I think yesterday car issue made me think of making a card that has car on it. LOL. Hope you like both of the cards I have for today. Tomorrow, I'll have new fun challenge for you from Wee Memories. Come back tomorrow & join us. Have a super duper great Friday! Hugs, Vera. Thursday!! Yay... I am so ready for the weekend already. How about you peeps? This week has been such whirlwind. Between the stress from work, me PMS-ing, it just simply been quite a week. Definitely counting the hours to Friday 5pm. I'll probably hang out with my girl friend this weekend and I'm looking forward to that! Now, this week our challenge is to create a project using 2 patterned paper, 3 flowers, 1 ribbon, and a charm. 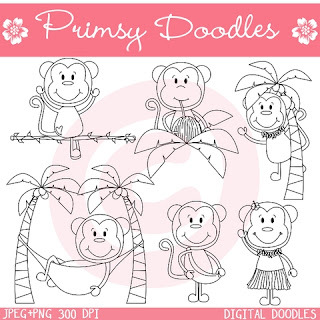 We're sponsored by Stitchy Bear Stamps who provided us with some digi stamp to play with. I chose their fairy image. I didn't have a small charm to use, so I used my Making Memories charm. It's a bit big, so instead of dangling it, I put it off to the side of the flower. See that white heart peeking out? The charm was silver, but I dabbed it with white inkpad & embossed it with clear embossing powder to seal the color in. I also added stitches all around the border. My other challenge is Digi Doodle Shop's Best (DDSB) challenge. Easy peasy challenge. Create a card using your favorite stamp. Since I'm representing DDSB, of course I picked my favorite stamp from their line, which is this cute owl. He's just so cute! 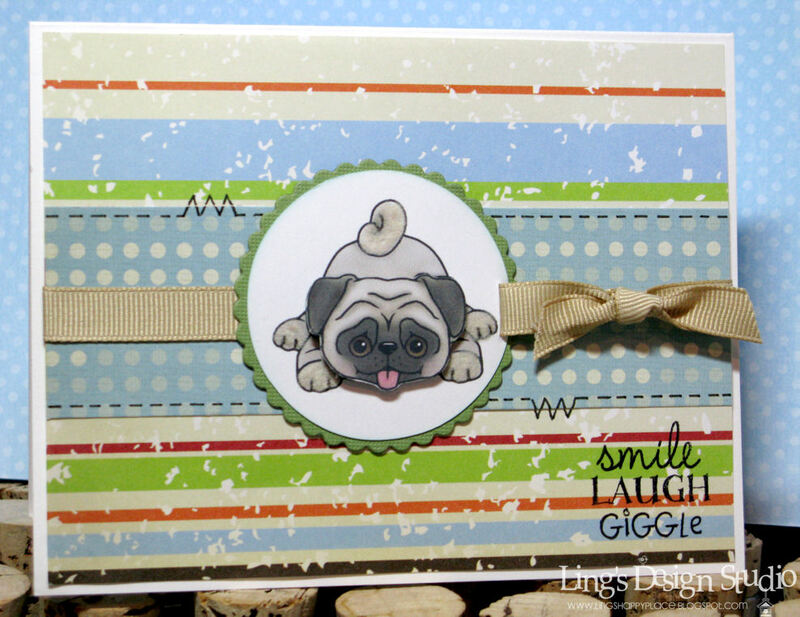 I used Mojo Monday sketch 150 for this card. I rubbed some chalks on the circle area to create a soft shading. 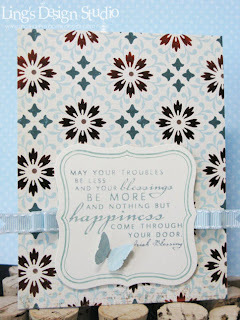 The patterned papers are from Kaiser Krafts and the sentiment is from Papertrey Ink. And of course, I had to use the wiggly eyes for the owl to make him look even cuter. I hope you will join me for Paper Play & DDSB challenges. Have a super duper great Thursday! And, if you live in super hot area like me, try to stay cool!